One of the main reasons why I am thoroughly enjoying this hunting referendum campaign is the hysterical and irrational propaganda the pro-hunting lobby is using. 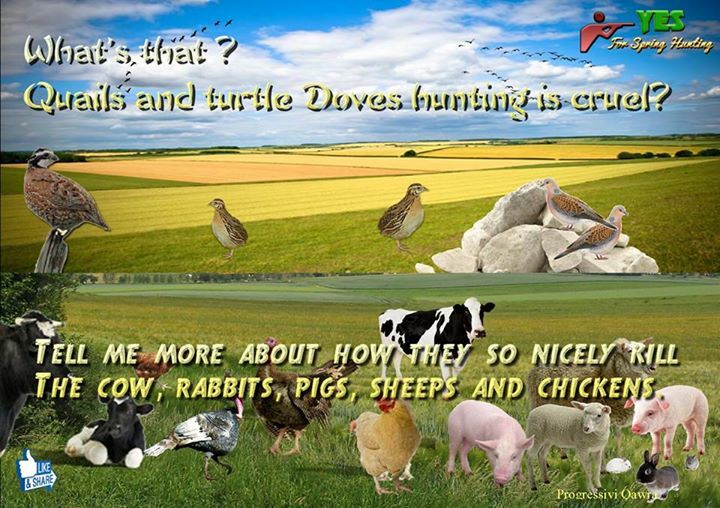 After comparing the hunting group to LGBT groups, and semi-brainwashing other hobbyists for their support, all eyes are now upon vegetarians and vegans! The story started with a targeted attack on SHOut Spokesperson Moira Delia, who also hosts a cooking show called Gourmet Today. Hunters found it a bit hypocritical that someone advocating for the anti-spring hunting campaign would dare to cook quail on live television. This would seem logical to a narrow-minded person who assumes that quail is only sourced from the environment, lead pellets and all. Moira rebuffed these arguments, by stating that she does and has never hunted and that she does not cook or eat quail. However, that is entirely besides the point here. It takes a certain kind of stupidity to associate the hunting issue with an individual’s eating habits. 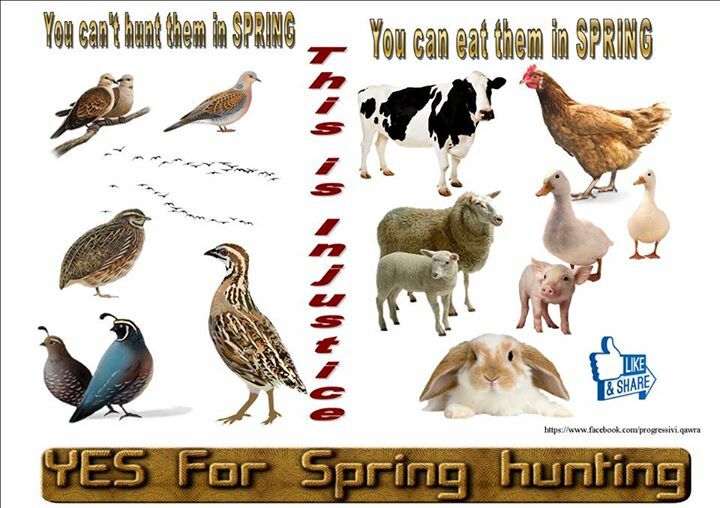 If Maltese hunters only hunted birds in spring for food, then they would not need to target protected species to keep them as trophies, or even worse just for the joy of hitting a moving object. 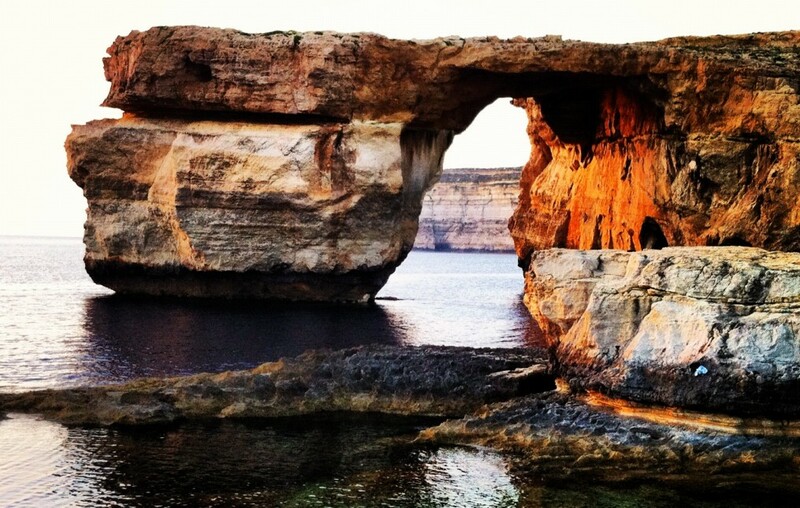 If all the hunters actually followed the rules, the Maltese public wouldn’t be so irate at them would they? Would I eat quail if presented with the occasion? Of course I would, but only if it is obtained from sustainable farmed sources. 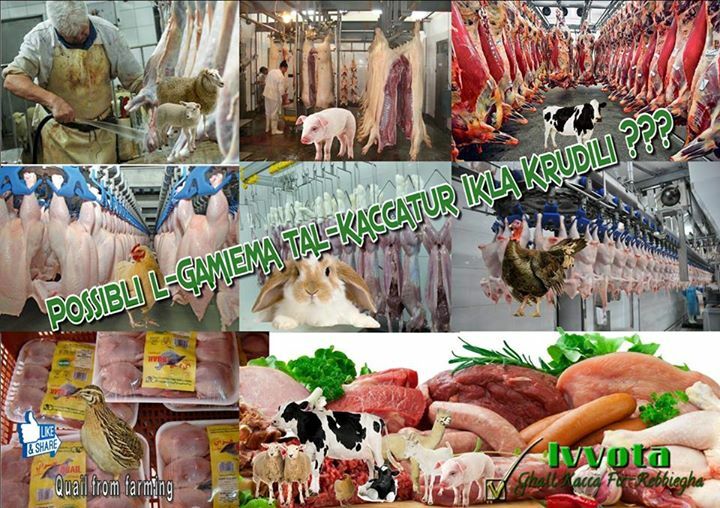 The issue of eating meat from animals reared for slaughter (rabbits, chickens, cows, sheep, pig and so on) falls under the umbrella of animal rights and NOT animal conservation. There is a specific set of laws which govern animal husbandry, about how to treat these animal appropriately and humanely despite their ultimate fate. It is with this same logic that I eat Bluefin Tuna, swordfish and other commercially available fish – when obtained from sustainable sources. Birds and game hunted for their meat in Malta during autumn (including rabbits during summer) would also follow the same principle. This is where animal conservation comes in (NOT animal rights – wild animals have no such rights), to strike a balance between what is needed by a community and by what should be left behind to allow the population to regenerate. Therefore, if you are one of those people that honestly thinks that those who are voting No should be ashamed of themselves because they eat meat, then you should be recognised as an idiot.